If there's any million-dollar question in the GOP race right now — besides the obvious one of whether frontrunner Donald Trump can correct course and win a 1,237 majority of the delegates — there's a good chance your mind will turn to Ohio Gov. John Kasich. It's becoming increasingly unclear what his ideal endgame is in this thing, after yet another dismal finish in the Wisconsin primary, beyond hoarding delegates and praying for a contested convention. But what if he did give up? 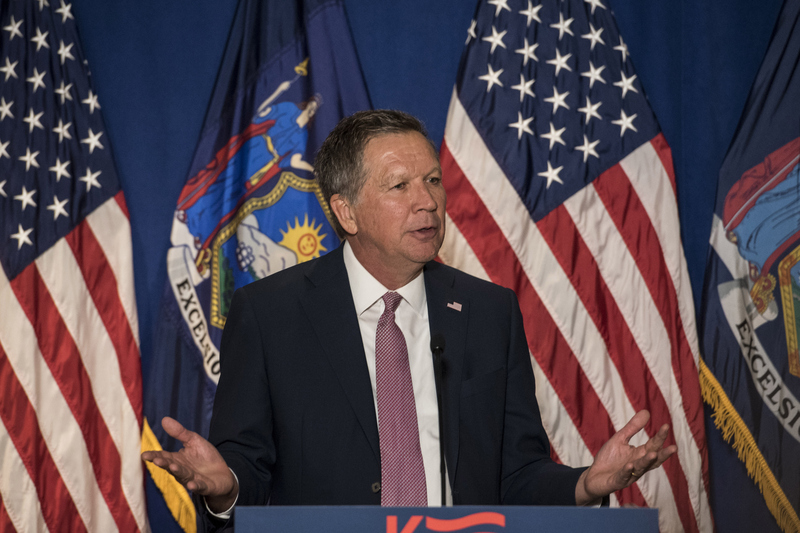 What will happen to John Kasich's delegates if he drops out? Look, to be clear, you shouldn't assume that Kasich will drop out. If he did so at this point, it would seemingly render the last few months of campaigning entirely moot. That's because Kasich has been mathematically eliminated in the delegate majority race for weeks, and he's seemingly only been staying in the race for the chance to claim the nomination in a chaotic, uncertain convention scenario, or perhaps to bargain his way onto a presidential ticket or into an administration job if his modest share of delegates could turn the tide for someone else. It's that last scenario, in fact — that of the power-broker with a potentially tantalizing little trove of delegates to offer — that looms large on this question. While a candidate dropping out typically unbinds their delegates, freeing them up to vote for whomever they please, if Kasich were to cut the cord, he'd surely want to hang onto them. That actually puts him in the same boat as former presidential candidate and outgoing Florida senator Marco Rubio, who sent out letters to state officials where he won delegates (he actually still has more than Kasich, at 171 to the Ohio governor's 143), clarifying that although he suspended his campaign, he did not intend to release any of his delegates from their obligation to support him. This has been seen as a means to keep Trump from picking off any of the delegates that were rightfully awarded to Rubio, but it also keeps him very much in-the-game come convention time. Imagine, for example, a scenario in which neither Trump nor Cruz secured a majority of the delegates, but Kasich and Rubio throwing their share to one of them could push them across the finish line. Or maybe they're still short, but it vaults Cruz ahead of Trump — a very significant comeback in terms of optics, even if it wouldn't make much practical difference. That's why Rubio wants to make damn sure that the delegates he won stay in his camp, and it's why if Kasich ever dropped out, he'd surely do the same. Rest assured, ya boy Johnny K. didn't come this far to throw in the towel like some kind of chump! His main concern at this point? More likely than anything, it's to cobble together a few more delegates here and there, although with how the race has shaken out to this point, that may not be very realistic.